A journey through the regions of Piemonte, Lombardia and Veneto has to include a visit to lake Maggiore, lake Garda and Como. Missing this visit means loosing wonders of nature, art and history. This climate lets the development of lush vegetation: colors and scents make the landscape completely original, it can be appreciated in peace. Each lake is characterized by its own light and many aspects to be discovered; the best possible perspective to appreciate such beauty is without any doubts sailing, lulled by the sweetness of the water and the lake breeze and all different views flowing from. Maggiore lake : the part from Arona till Switzerland, by boat: a short tour can be programmed, to be visited are the fortress of Angera, the Sanctuary of Santa Caterina del Sasso the famous villas and gardens of the Borromeo Islands (islands Bella and Isola Madre) with Baroque palaces and typical “Italian” gardens . Rare plants and exotic flowers grow. In Stresa there is the park of Villa Pallavicino: 20 hectares with trees and a wonderful botanical garden and many species of animals including mammals and exotic birds. Verbania-Pallanza to visit the immense garden of Villa Taranto characterized by rare plant species. The Brissago Islands to visit the wonderful botanical garden – or excursions to Locarno with lunch on board in an equipped restaurant, or still day cruises organized in collaboration with other Italian and foreign carriers that let you to combine train and boat admiring the scenery from different views (Lake Maggiore Express). Garda lake : “Crystal clear sea”, for its breadth and for colors, the boat let you organize an excursion to center-lake crossing the stretch of water alternating stops on the Lombardy side of the lake and of the Venetian, the little towns of the lower lake from Desenzano del Garda (Roman Villa and Antiquarium) or Peschiera (Sanctuary of Our Lady of Ash) – Sirmione to visit the Grotto of Catullus and the Rocca Scaligera – up to Gardone to visit the Italian Vittoriale and Salò for the visit of the Cathedral – characterized by historic buildings and gardens of many colors – or plan a trip across the lake along the Riviera of Olive and lemon trees up to the Trentino town of Riva del Garda to visit the Apponale Tower and Museum. 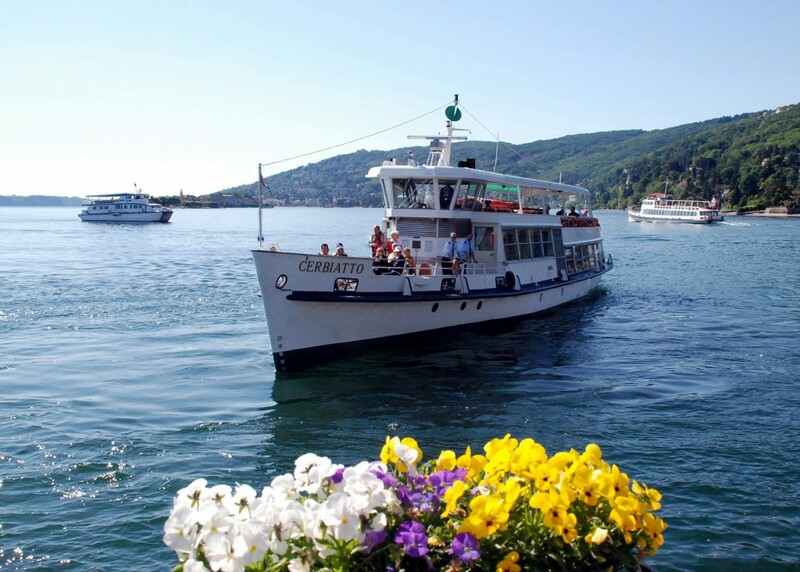 Como lake: the visit of Villa d’Este through Cernobbio. Argegno to visit the Shrine of St. Anne, Comacina Island, Lenno to visit gardens of the Villa del Balbianello admiring the historic and luxurious villas and gardens until reaching Bellagio – nicknamed the “pearl of the lake” thanking its beauty . Gardens of Villa Melzi through Tremezzo – beautiful tourist destination – to visit Villa Carlotta and continuing to the Bellano Shrine of Our Lady of Tears andthan for Piona to visit the Abbey and then to Colico. The service offered by the Government Management Navigazione Laghi – Company of the Ministry of the Ministry of Infrastructures and Transports – offers the chance through rates controlled by the state to sail on the waters of each lake with a fleet of boats that connects the town and discover its picturesque spots to be captured with photos and to share a memory of a lovely experience. There are many towns of the lakes to be visited – many monuments that testify origins and history. Since the nineteenth century, lakes have been one of the goals of the trip in Italy of foreign writers and poets, who have praised in their works the beauty of the landscapes: Stendhal, Goethe. Even some Italian writers set literary works in these places. The most famous A. Manzoni, A. Fogazzaro, G. Gozzano, P. Chiara, V. Sereni made these places known all around the world. Suggestions for daily trips by boats of Government Management Navigazione Laghi or even a little vacation in spring and summer are interesting, families have good and cheaper offers! Every two daily tickets for adults, children up to 12 years (max 2) can travel free of charge. Lake Maggiore (or Verbano) has glacial origins. Banks in the East are in Lombardia, on the west in Piemonte, the north is part of the Swiss Confederation. Its most important tributary is the Ticino River. The particular physical and landscape configuration of the lake, the presence of hills protect it from the Nordic rigors and make the climate mild. The existence of tributaries like Ticino, which is navigable, makes feasible the connection of the Po valley with Central Europe. This factors created human settlements on the lake. The history of the settlements on the Maggiore Lake dates back to the prehistoric civilization of Golasecca (Iron Age), and to the Celts and the Romans who made the area the Augustan Region XI. In the Middle Ages there was the important ecclesiastical organization of churches, followed by struggles between families Visconti and Torriani to keep control on the lake until the definitive affirmation of the Borromeo. Than the arrival of Swiss, in the sixteenth century, on the north shore. During the eighteenth century the western shore has been attributed to the Savoy and the eastern to the Austrian rule under which it remained, with the exception of twenty years under the Napoleonic wars till the Risorgimento. The nineteenth century is the century of tourists, with great development of villas, parks, and hotels. Located between Lombardia, Veneto and Trentino, Garda lake (or Benaco) is the largest Italian lake. Unlike other pre-alpine lakes, Garda’s origins are uncertain: glacial or tectonic. The design of lake looks like that of a long, narrow fjord that creeps into the alps from Brescia and Verona. Here, between Riva and Torbole you enter the main tributary, the Sarca. The emissary, the Mincio, lets out in Peschiera, in the south of lake, where the basin opens in semicircular and reaching the Po Valley. A popular tourist area, Garda lake has a particularly auspicious climate due to the imposing mass of water, the low level compared to the sea, and its protected geographical position. This has encouraged the formation of a Mediterranean vegetation, with crops of oranges, lemons, limes, bergamot, and, since ancient times, olive trees and vines. Already inhabited during the Iron Age and the Bronze Age, the banks of the lake saw succession Ligurians, Venetians, Etruscans and Gauls until the Roman conquest. A city rose a range of agricultural crops and it intensified the traffic on the lake. The Garda has been for centuries a strategic point of passage between northern Europe and the Po Valley. The control of lake had meant the management of traffic between these two areas. That has meant a succession of almost uninterrupted conflicts. After the barbarian invasions and occupation of Lombard, was the time of Charle Magne, and later, of Commons and the Lords. 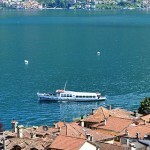 In the fourteenth century the lake was ruled by the Scala and Visconti. This predominance was opposed by the Garda Community, formed by the municipalities of Brescia, bowing under the protection of Venice. After a series of bloody battles with the Visconti, Serenissima managed to gain total control of the lake, keeping it during the whole ‘400 century. With the League of Cambrai its prestige diminished, but the rights of navigation remained in his hands until 1797, when the entire area was conquered by Napoleon. A few years later, in 1815, Garda passed to Habsburgs and became part of the Lombardo – Veneto Kingdom . During the Renaissance, the lake was conquered by the Italians. Austrian remained only based in the northern part, which has been annexed only after the First World War. BARDOLINO: Church of San Zeno – Museum of olive oil DESENZANO Villa Romana – Duomo – Castle – Civic Museum of Archaeology GARDA: Palazzo del Capitano – Camaldolensian hermitage GARDONE RIVIERA: The Italian Vittoriale – Botanical Garden Hruska LAZISE: Rocca Scala – Church of St. Nicholas MALCESINE: Medieval Castle – Monte Baldo by cable car PESCHIERA DEL GARDA: Rocca Scala RIVA DEL GARDA Tower Apponale – Palazzo della Rocca – Varone Falls SALO ‘Cathedral – Palace of the Magnificent Motherland SIRMIONE: Scaliger Castle – Villa Romana delle Grotte di Catullo – Terme TORRI DEL BENACO: Medieval Castle – Church of the Holy Trinity. Lake Como (or Lario) dates back to the Ice Age. Its shape is an inverted Y, with the two branches that extend to south towards Lecco and to south-west towards Como. Thanks to a mild climate that favored the arboreal development, Lario was inhabited since the proto period. It was with the Roman colonization, which culminated with the founding of Como, that an importance as a defence has been given to the lake, because of the territories and the Po Valley considered a way of connection to the lands beyond the Alps. At the same time the fame of lake popped out . The first important writers about virtues of the lake were the Latin Cassiodorus, Plinio il Vecchio, Plinio il Giovane (Como natives) and Strabone. During the times to these voices were added those of Paolo Diacono, Leonardo, e Benedetto Giovio. The lake gained an international fame in the eighteenth and nineteenth centuries, first with the triumph of “villa culture”, and than with the development of an elite tourism. Lario lake became an obligatory stop for travellers and writers visiting Italy. About it even Bourget, De Musset, Longfellow, Stendhal and Flaubert wrote.. The most famous written is the opening of ‘I Promessi Sposi ‘: “That branch of Lake Como turns at midday …”, with which Manzoni immortalized the Lecco side. COMO: The Cathedral, the churches of Sant’Abbondio and San Fedele, the Broletto Palace, the Temple Volta, funicular to Brunate. CERNOBBIO: tourist place of an aristocratic charm. TORNO Marina, Churches of Santa Tecla and San Giovanni. COMACINA ISLAND: the sole Island in Como Lake – Romanesque basilica St. Eufemia (only in spring summer and and autumn). LENNO: Villa del Balbianello, now run by FAI and it is possible to be visited by pubblic. TREMEZZO Villa Carlotta with its garden and botanical park. 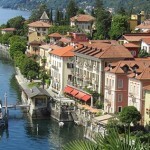 BELLAGIO: characteristic Borgo, Villa Melzi, Villa Serbelloni , visits to park are possible only at planned times. MENAGGIO: Belle Epoque example. VARENNA: Villa Cipressi and Villa Monastero, Castello di Vezio. BELLANO: Bellano Ravine formed by Torrente Pioverna. GRAVEDONA: Santa Maria del Tiglio and Palazzo Gallio. PIONA Abbey founded by monks Cluniacensi (visists are possible only in spring summer and autumn). COLICO: On the way Stelvio (Valtellina) and Maloja (Valchiavenna), natural oasis Pian di Spagna – Lake Mezzola. LECCO: Manzoniani places (only summer).